Authors assessed clinical data, environmental conditions, and results of a tracheal wash and bronchoalveolar lavage for the study of sport, race and leisure horses. A large-scale study has established horses inhaling aerosolised fungal particles are at a significantly higher risk of developing inflammatory airway disease (IAD), and feeding steamed hay can reduce the odds by 65%. Scientists at the Equine Sports Medicine Practice in Waterloo, Belgium – who carried out a prospective observational study of 731 active sport, race and leisure horses – discovered the type of bedding and forage provided to animals can represent significant risk factors for IAD and fungal contamination of equine airways. The study, ”Fungi in respiratory samples of horses with inflammatory airway disease”, has been published in the Journal of Veterinary Internal Medicine. The authors assessed clinical data, environmental conditions, and results of a tracheal wash (TW; cytology, fungal culture and bacterial culture), and bronchoalveolar lavage (cytology). Data regarding the type of bedding (straw, wood shavings and other) and hay forage (dry hay, moistened hay, damped hay, steamed hay or haylage) were also systematically collected and analysed. 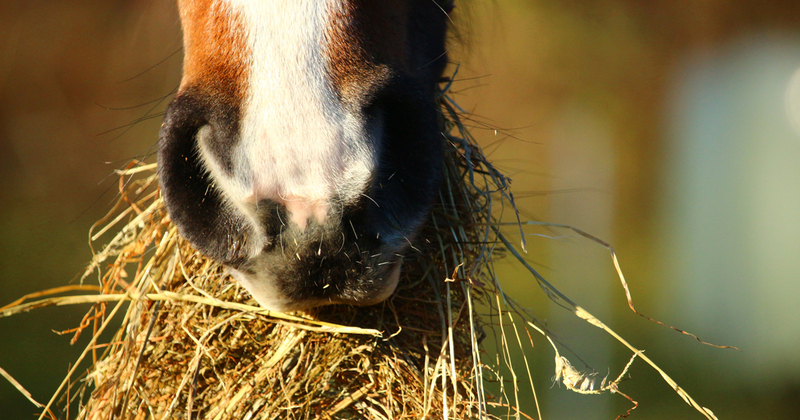 The authors stated: “The alternatives to dry hay other than steaming – such as wetting or soaking the hay, feeding haylage, or commercial, ’dust-free’ hay – all increased the risks of having a positive IAD diagnosis. Soaking the hay did not influence the finding of fungal elements in the TW; however, steaming hay (Haygain HG) decreased by two-fold the risks of having fungal elements in the TW.